The Dead Sea shoreline near Ein Gedi, Israel. Image: Thomas Coex/AFP/Getty Image. This article by Maria Gallucci originally appeared on Mashable.com on 21 September 2016. New software tools have enabled scientists to read an ancient, damaged Hebrew scroll without ever unfurling the fragile, disintegrating parchment. The digitization techniques, known as “volume cartography,” transformed what were the charred remains of the nearly 2,000-year-old En-Gedi scroll into legible columns of handwritten text from the book of Leviticus, according to a study published Wednesday in the journal Science Advances. “We are reading a real scroll that hasn’t been read for millennia,” said Brent Seales, who helped develop the cartography techniques and is a computer sciences professor at the University of Kentucky in Lexington. The charred scroll from En-Gedi. Image: Leon Levy Dead Sea Scrolls Digital Library/Israel Antiques Authority. The tools could have important uses beyond the realm of antiquities, the researchers said.Intelligence or forensic investigators, for instance, could use volume cartography to extract information from documents without opening an envelope. The software will become open-source in late 2017 when the researchers’ funding from the National Science Foundation ends, Seales said. To virtually “unwrap” the En-Gedi scroll, Seales and his team began by taking a 3-dimensional volumetric scan of the damaged manuscript and creating digital cross-sections of the artifact. The next step, segmentation, produced digital “pages” that contained the writing. The U.S. researchers pieced together more than 100 scanned segments of the En-Gedi scroll. They then used a texturing technique to extract ink marks from the data and to detect bright pixels, indicated dense materials like lead-based inks. A final flattening stage converted the textured, 3-D surface into a flat plane to reveal the lines, words, letters and spacing on five complete wraps of the Hebrew scroll. Thanks to the digital analysis, the En-Gedi scroll is” the most extensive biblical text that has come to light” in the last decade, said Michael Segal, who heads the School of Philosophy and Religions at the Hebrew University of Jerusalem. The En-Gedi scroll (also spelled “Ein Gedi”) is the oldest scroll discovered from the Hebrew Bible since the better-known Dead Sea Scrolls, which were found in the 1940s and date back to around 2,000 years. Paleographic data suggests the En-Gedi scroll originated in the second half of the 1st century C.E. or the beginning of the 2nd century, Segal told reporters. Carbon dating puts the scroll in the 3rd or 4th-century C.E. Archaeologists found the En-Gedi scroll in 1970 near the Dead Sea in Israel. The parchment was placed inside the Holy Ark of a 6th-century synagogue, but the building suffered a fire, turning the ark’s contents into lumps of crushed charcoal. For decades, researchers had little idea what the scrolls contained, since touching the chunks would likely destroy them. The charred scroll from En-Gedi with its exact facsimile, which was 3-D printed from the micro-CT scan that led to the discovery of the biblical text inside. Image: Brian Seales. Last year, however, Seales and researchers in Israel used advanced digital imaging software to scan the fragile scroll, revealing that the document contained the opening verses of the book of Leviticus, the third book of the Hebrew Bible. “It still looked like a chunk of charcoal,” Pnina Shor, curator and head of the Dead Sea Scrolls Project at the Israel Antiquities Authority, said on the call with reporters. The new digital scans are detailed and complete enough to support “serious textual criticism” of the En-Gedi scroll, Seales said. Earlier scans of the En-Gedi scroll revealed by imaging software. Image: Seth Parker -University of Kentucky, Ehud Shor, Jerusalem. The images also start to fill a gaping, centuries-long gap in biblical history. Few if any copies of the Hebrew Bible have been discovered that date to between the beginning of the common era and the start of the Middle Ages, in the 5th century C.E., according to Emanuel Tov, a professor in the department of Bible at the Hebrew University of Jerusalem. The En-Gedi’s scroll’s writings are nearly 100 percent identical to the medieval texts, both in consonants and in paragraph divisions, suggesting that copies of the book of Leviticus did not differ much over thousands of years. 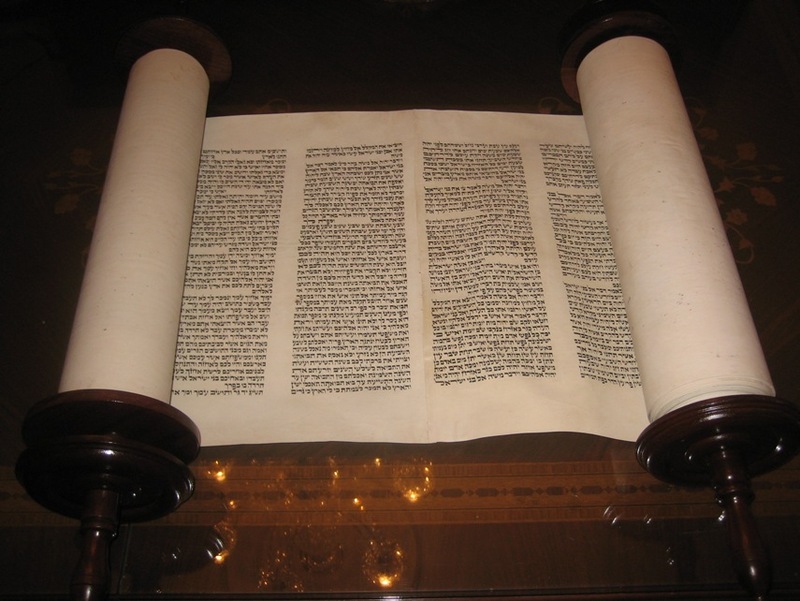 “The details of the scroll connect us with the Middle Ages, since no other known source from antiquity is as close to the medieval text as the En-Gedi scroll,” Tov said.